Clare Gallagher’s series Domestic Drift resonated with me instantly as a new mum dealing with chaos on a daily basis. Instead of getting through the day waiting for the ‘good bits’ Clare has managed to achieve the discipline of seeing beauty in the mundane. Quite an accomplishment in a world of distraction and dissatisfaction. I wanted to find out more about her way of seeing and how the project evolved. The everyday is complex terrain. It is always there, readily and universally available; surely it is so obvious that it needs no unveiling. And yet, it is also shrouded in haze, our sense of it dulled by familiarity and habit… We are at risk of missing out a significant portion of our experience that is ever-present yet escapes attention. 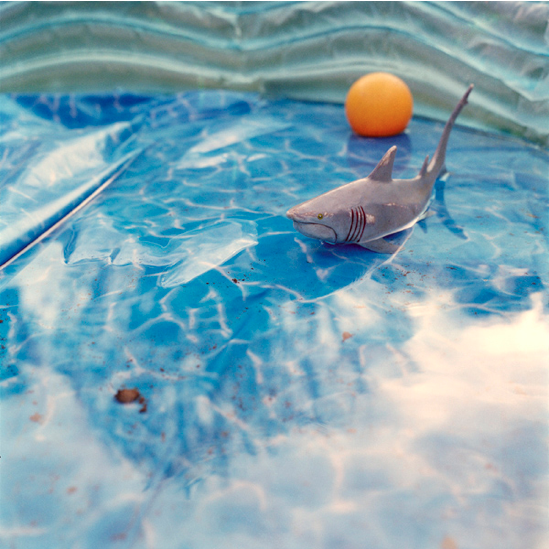 Clare has exhibited in New York, Houston, Delhi, Dublin, and London, and she was shortlisted for Saatchi New Sensations. The Museum of Fine Arts, Houston recently acquired one of Clare’s images for their permanent collection. We met for an espresso (double) in Belfast where we chatted fondly about Northern Ireland’s oddities, art education, family life, talking art with the folks and the terrible necessity of ‘getting your work out there’ (shudder). SB: Well done on Domestic Drift. What is your greatest sense of accomplishment with the series? CG: Thank you. I’m really happy to help get the ordinary into cultural discourse and pleased that my work is resonating with a wider audience than I thought it would. Do you feel you have found your voice with this project? I’ve always tried to work with the idea of fragmentation, trying to overcome the sense of there being hierarchies in the ways we experience the world. Domestic drift surprised me though by feeling so political – I wanted a revolution of everyday life! I began it very timidly, worrying that no-one would be interested in seeing what some woman was doing with the most mundane, obvious bits of home life. Seeing the good things in the everyday really resonated with me. How did it click with you that instead of waiting for the ‘good’ stuff to happen you should start to see them in the vernacular? When I took the image of the penguins I had a real turning point – I had been trying to avoid looking at the mess and the work, photographing ceilings and windows and the like. I went home one evening and saw the kids’ room was like there’d been an explosion of toys and clothes and books, put the camera on the floor and focused on the first thing in front of it. Amidst all of what looked to me like chaos and chores, the boys had left these two little penguins, like two brothers chatting away. It was so touching! Has your project helped you to view life differently? I’m hoping it doesn’t sound like therapy but yes, I don’t feel so constricted by the constant bedlam around me. I can see home more clearly without the persistent filter of action. I try to appreciate the transience of all the aspects of home life instead of waiting for it all to be ‘just right’. In your work the hint of other worlds is imminent. How did that evolve? Part of learning to respond to my surroundings differently was trying to see from the kids’ perspectives and be fascinated by the ordinary. It had a lot to do with relearning how to make do with what’s there instead of feeling dissatisfied with what we have or how things are and learning to really notice things through all the senses. What’s it like being a regional artist after living in England for so long? It’s a really exciting time for photography in Ireland – there are two new photofestivals, a number of new photo magazines like Prism and Supermassiveblackhole as well as the long-established but as-relevant-as-ever Source. The University of Ulster has great BA and MFA photography programmes with fantastic lecturers like Magnum photographer Donovan Wylie. Gallery openings are more fun here too – great craic!